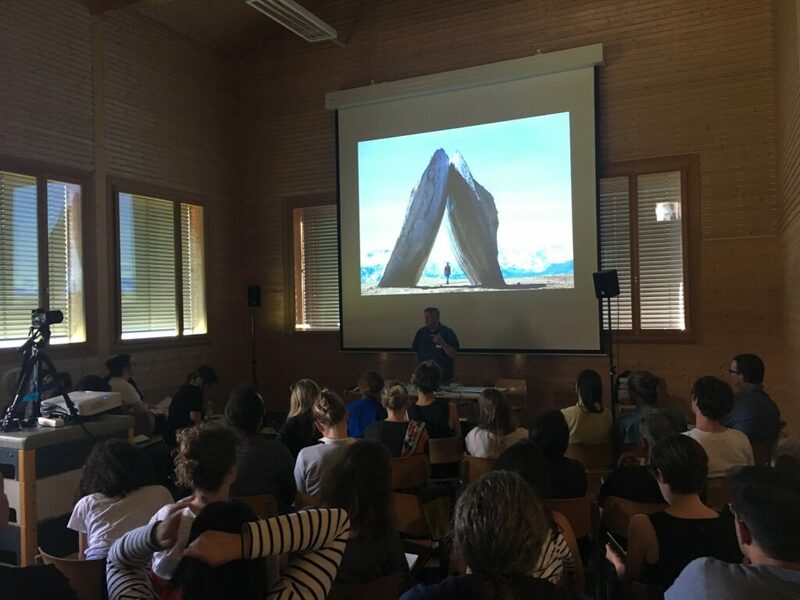 MODULE 3: Maintaining the established tradition, the 2018 edition of the Alps Art Academy will commence with a two-day symposium titled “New Tendencies in Land and Environmental Art: Horizontal – Vertical”. The symposium will take place on the first weekend of the Academy, 30th of June-1st of July 2018. 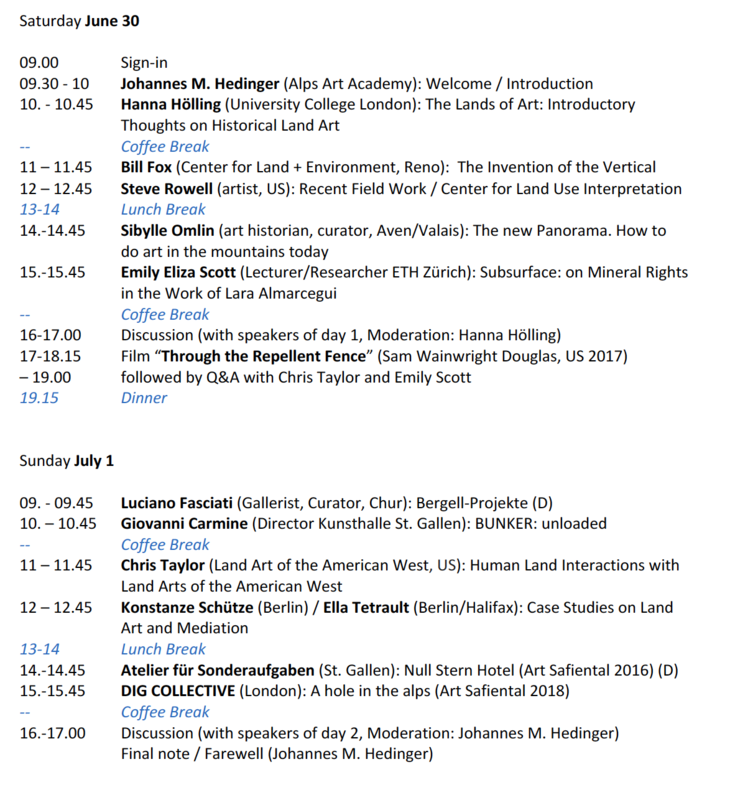 During this symposium, critical attention will be paid to the notion of the (re)orientation of Land Art, understood both literally and metaphorically. Day 1+2: 120.- CHF. Residents of the Safiental only pay half. Application until June 28. under info@alpsartacademy.ch or info@safiental.ch.